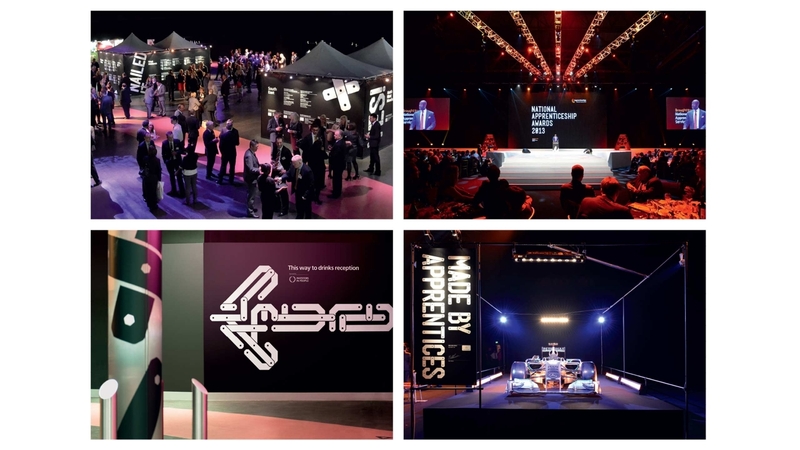 The Apprenticeships Awards evening, held at the NEC in Birmingham was accompany by the ‘Made by Apprentices’ exhibition. The event celebrated the year’s achievements from the country’s top apprentices, promoting the various ways they have made a difference to workplaces across the country. We wanted to celebrate all the great products that had been ‘made by apprentices’ over the past year, and therefore created an adaptable scaffolding system for various structures throughout the event, to hold everything from earrings to Lewis Hamilton’s Mercedes Formula 1 car. 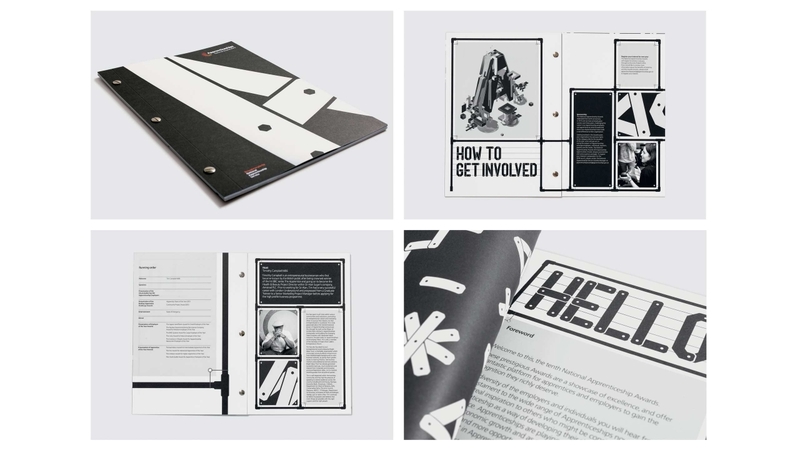 A bespoke typeface, called Assemble, made from graphic plates and rivets created a complete graphic language based around the construction of elements, echoing the apprentices’ handcrafted creations. 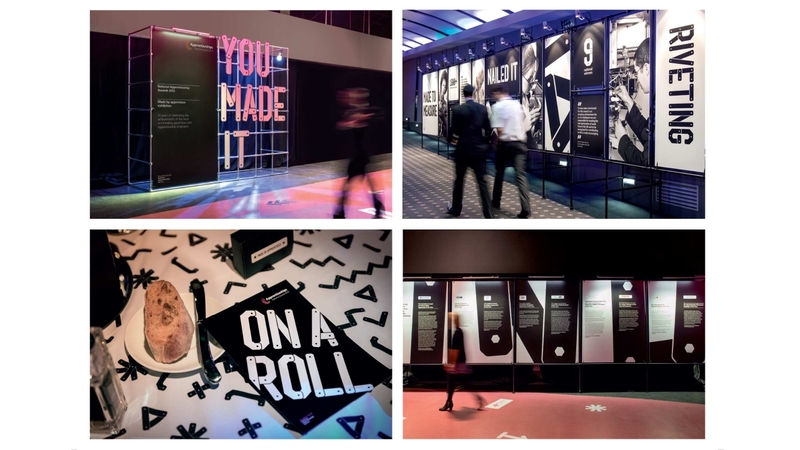 This approach became a visual thread running through all the materials including programmes, signage and graphics across the entire venue, working to praise the accomplishments of young apprentices and put them firmly in the spotlight.